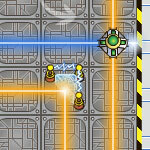 A huge alien spaceship has lost all its energy and now it is drifting directly to unavoidable death! 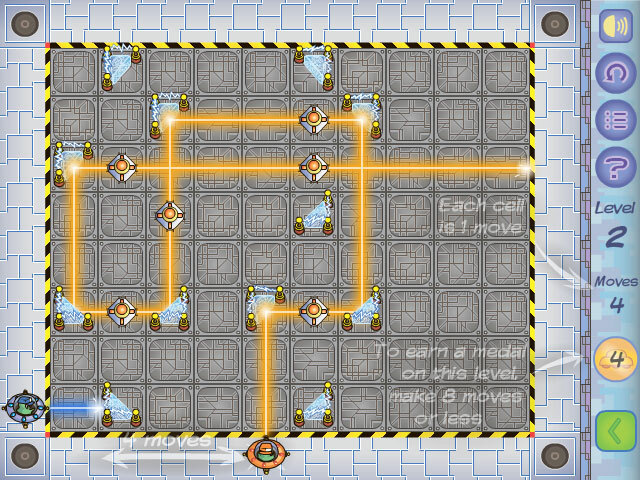 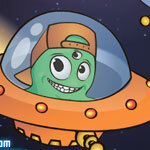 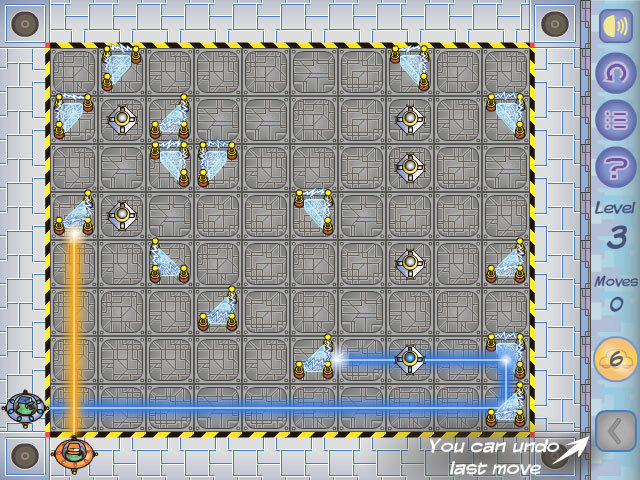 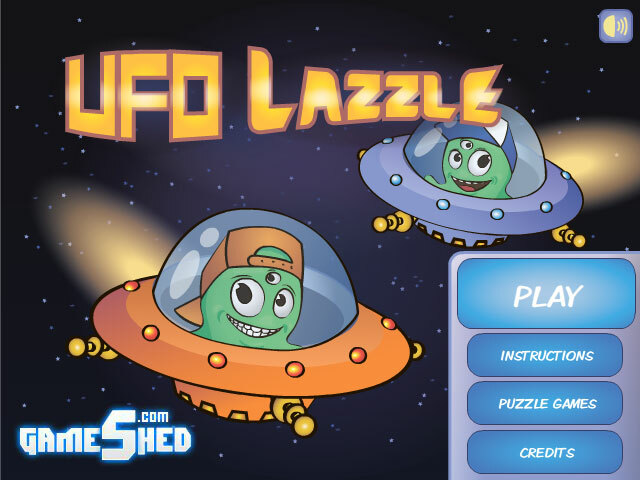 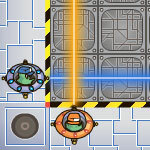 Help the aliens to refill their huge spaceship with energy cells. 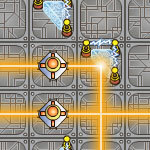 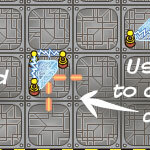 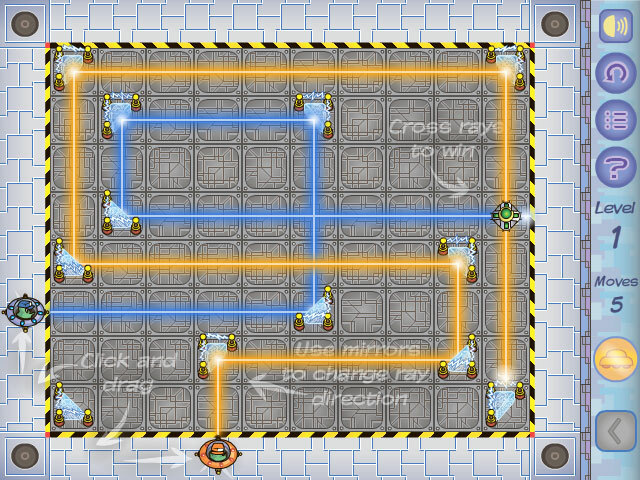 Use lasers and various reflectors to recharge all the power cells. 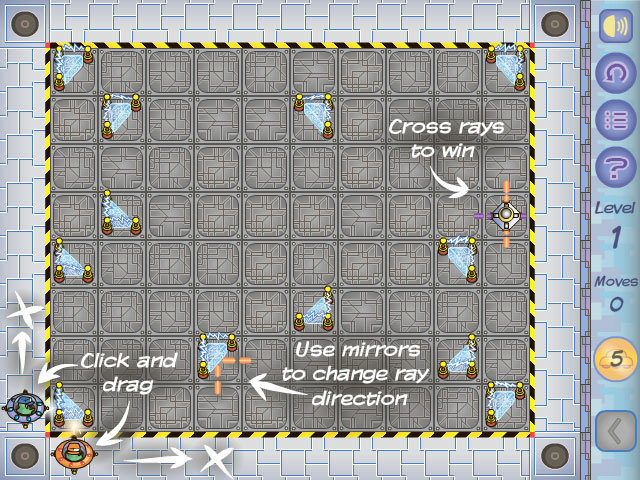 Cross two different rays to power an energy cell.